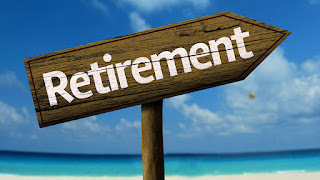 Choosing a specific retirement path can be difficult because there are many choices and factors that can go into your decision. For example, retirees must consider their personal goals, preferred location, and medical needs. You may also have to decide how important your social life is, and whether you want to rent or own your own place. 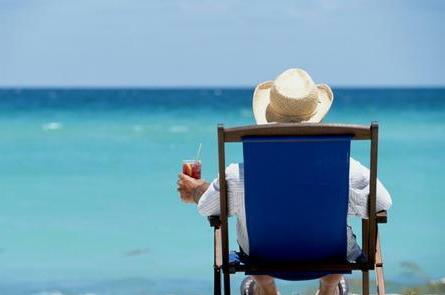 However, there are many surprising ideas for retirement you may not have considered yet. Most seniors don’t realize it, but there are endless opportunities for seniors to teach English abroad. The basic requirements for ESL, or English as a Second Language, teachers are just a bachelor’s degree and a passion for helping other’s learn. Teaching English overseas is an amazing opportunity to get paid to travel and help students of all ages learn English. English teachers are in high demand in many areas of the world, such as Asia, South America, and the Middle East. Seniors could spend a few years living and working in different foreign countries where the salary is high, and the cost of living is low. According to the AARP, living in an RV and traveling around the country is an exciting, yet comfortable way to explore the world and enjoy life. RVs offer different levels of comfort based on their price tag, but all provide the essential basics. Traveling in an RV is a chance for seniors to visit popular attractions, places they have always dreamed of, and especially friends and family. As an added benefit, people who live in their RV may not be required to pay local and state taxes. However, the AARP recommends that seniors carefully prepare for the RV life through selecting the appropriate RV and insurance. In addition, seniors should plan their trips and destinations to avoid getting lost or help up in places you don’t want to be. Maybe retiring just isn’t what you had in mind and you still have a lot of exciting plans for a business or startup. Don’t be afraid of branching out and starting your own work. Maybe your crafts could turn into a fashion design, or your passion for gardening gets you into the local farmer’s market. Even if it’s small, you can use the productivity you still have to hone your skills and earn a little extra. Make use of the savings you never had to use and venture out into your own world of business. You may be surprised what you discover about yourself in the process. A retirement living home like Sunshine Retirement Living is a perfect solution for seniors who want to maintain independent living, but also an active social life. Retirement homes offer private rooms, but community spaces, such as recreational or community rooms. Retirement living homes offer excellent safety and security. Other benefits include zero home maintenance, transportation services, and the opportunity to downsize and live simply. More importantly, there are assisted living services for those with daily living needs. This could include help with basic tasks, or special care for those with memory or functioning difficulties. In the end, retirement living homes offer vital social opportunities that are vital for senior well-being. Seniors should look forward to retirement because there are multitudes of interesting opportunities awaiting them, such as teaching abroad, traveling in an RV, or comfortably living among friends in a retirement living home. Don’t feel like you have to be trapped in one place once your career is over. Use these ideas to continue doing what you love.